The Scottish government has warned a lack of legal protection could see Scotch whisky under threat from cheap, imitation ‘whiskies’ after Brexit. Keith Brown, Scotland’s Economic Secretary, has called for Scotch whisky to be protected by the UK government, following recent trade talks between Westminster and the US. In a letter to UK ministers, he warned the US would ‘support a relaxation of the definition of whisky’, leading to an influx of poor quality imitations. His remarks came after a recent visit by UK international trade secretary Liam Fox to Washington. Concerned that one of Scotland’s biggest exports is at stake, Brown has demanded that current EU regulations protecting Scotch whisky are guaranteed post-Brexit. However Scotch whisky’s production processes, and the manner in which it is advertised and sold, is already embedded in UK law. The 2009 Scotch Whisky Regulations – a legal framework governing the production, labelling, packaging and advertising of Scotch whisky – is the most recent incarnation of the Scotch Whisky Act 1909. Scotch also benefits from additional protection under EU legislation with a Geographical Indication (GI), which prevents imitation whisky labelled as Scotch from being sold in the UK and Europe. It is this GI status that many fear will be lost following the UK’s impending departure from the EU, and subsequent need to negotiate new competitive trade deals with the US and other markets. Trade talks: Concerns are high over the role Scotch whisky might play in Brexit trade negotiations Following the Brexit referendum in June 2016, the Scotch Whisky Association (SWA) presented a full briefing paper addressing the challenges leaving the single market poses to an industry worth £4 billion, and that supports 40,000 jobs. Rosemary Gallagher, spokesperson for the SWA, said: ‘We are looking for the government to prioritise a range of matters, including robust legal protection of Scotch whisky in the EU and global markets. Union urges UK Government to give Nissan-style support for 40,000 Scotch whisky employees. Terms such as ‘Scotch whisky’ and ‘Bourbon’ will enjoy continued legal recognition post-Brexit. 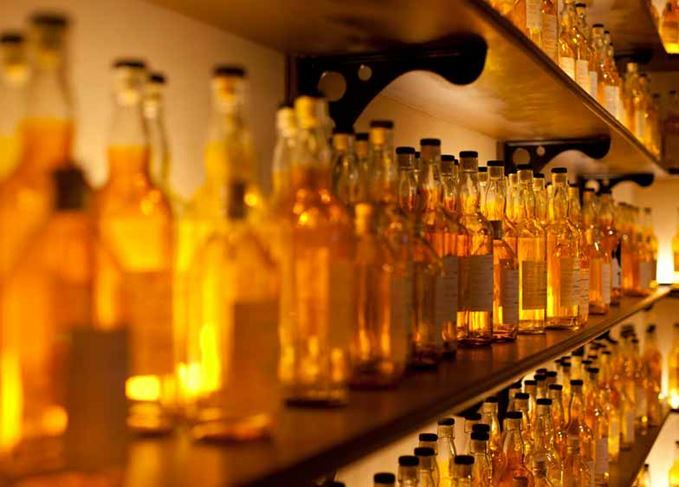 What would a no-deal Brexit mean for Scotch? Assessing the impact of a hard exit from the EU on the eve of a crucial Commons vote. Dave Broom deliberates the symbolic meaning behind gifting a quaich to the new US President. The Scotch industry needs to think hard and fast about its future post-Brexit, says Dave Broom.